What Employee Costs Can I Deduct from My Business Taxes? In addition to employee benefits, there are other costs of business relating to your employees that you as a business owner can deduct from your business tax return. In every case, these expenses must be reasonable and necessary costs of doing business. Your business may deduct costs for uniforms for yourself and employees if these are reasonable and necessary costs of doing business. For example, if you operate a restaurant, it is reasonable that employees wear a uniform while on duty. 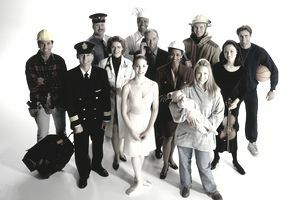 Some other examples of deductible uniforms and clothing are hard hats, theatrical dress, and other safety gear. You may not deduct costs for "street clothes" that you or your employees wear to work. For example, suits and general business attire are considered street clothes for both men and women. The "rule of thumb" is that if you can wear it anywhere and everywhere, it is not necessary as a business expense and is thus not deductible. For both tax reasons and general cleanliness reasons, you should require employees not to wear uniforms to work and to change out of uniforms before leaving work. Costs to clean and repair uniforms are also deductible business expenses. Tools that employees are required to use for work are deductible, as well as required equipment. For example, if you require employees to have specific tools or equipment, for example in a dental office, your business can deduct the cost of those tools. Employees should not be able to take tools or equipment home, for personal use. Some equipment that can be used for business and personal reasons is labeled as listed property by the IRS. Laptop computers and company cars fit into this category. This special type of property can be used for either business or personal reasons, so its use for business must be carefully documented, and your business should be able to show that the property is used more than 50% of the time for business purposes. Businesses need well-informed employees who are up to date with the latest trends and technology in their fields. The cost of professional journals, trade publications, and business magazines and books is well within the limits of "reasonable and necessary" business expenses, but be sure to include only business or professional publications. Beginning with the 2018 tax year, the amount of deduction for has been severely limited. Business entertainment expenses have been eliminated from the list of allowable business expenses. Meal deductions have been changed and in some cases eliminated. Read this article about business meals expenses to get the details. The most important tax responsibility of business owners, in addition to paying taxes, is to keep good records. You should create a business policy and procedure manual that spells out what your company provides to employees and restrictions such as the use of business-provided equipment or uniforms (like only wearing work uniforms on the job). In addition, of course, you will need to keep receipts for the costs of these employee expenses. Can I Require Employees to Pay for These Costs? Some companies require employees to pay the cost of such expenses as breakage, shortages, uniforms, and some tools. The U.S. Department of Labor says that employers may require employees to pay these costs, the costs may not reduce the employee's wage below the current minimum wage level, nor may the cost cut into overtime compensation. Before you decide to require employees to pay these costs, check with your state department of labor; they may have different (higher) restrictions on requiring employees to pay these costs. Don't Employees Get to Deduct These Costs? Before 2018, employees were able to deduct unreimbursed business expenses on their personal tax returns, for expenses of over 2 percent of adjusted gross income. The Tax Cuts and Jobs Act effective beginning with the 2018 tax year, does not allow employees to deduct unreimbursed employee business expenses on their personal tax returns. These expenses include travel and mileage costs, tools and supplies, required uniforms, and dues and subscriptions. For corporations, show these expenses in the "Deductions" section of Form 1120 or Form 1120-s for S corporations. This article presents general information and is not intended to be tax or legal advice. Consult with your tax preparer before attempting to deduct business expenses.